We offer amazing flat rates to Toronto and Hamilton airports and the Niagara Casino. CLICK HERE FOR DETAILS. We offer daily school transportation. Reader’s Choice again for 2016! Thank you to our great customers. Oakville United Taxicab Ltd offers reliable transportation 24 hours a day, 7 days a week to get you where you need to go in Oakville and surrounding areas of Ontario, including Pearson and Hamilton Airports, out-of-town destinations, and of course, anyplace locally. Oakville United Taxicab Ltd uses Global positioning system (GPS) and a fully computerized software system to receive and process calls. Our customer service representatives are able to direct your call to the closest vehicle. 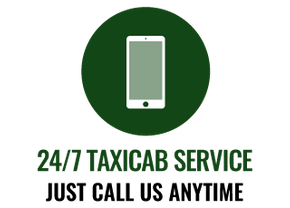 All taxis are equipped with a mobile data terminal to allow our drivers to receive call information quickly and accurately. This means our customers experience shorter wait times and better service. Our fleet of 80-plus taxis means Oakville United Taxicab Ltd has more vehicles than any of our competitors to provide you with better, faster service whenever you need it, 24/7. 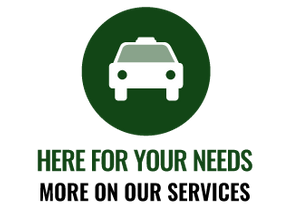 All vehicles are owned and operated by independent contractors who are members of Oakville United Taxicab Ltd's call centre. We also offer wheelchair accessible vehicles and 6-passenger vehicles, as well as a 10% discount on in-town services for seniors. Enjoy the peace of mind that comes from knowing your children will arrive at school safely and on time every morning by calling Oakville United Taxicab Ltd. We offer service to and from public and Catholic schools, as well as all major colleges in the Oakville area. Oakville United Taxicab Ltd offers reliable local and out-of-town parcel delivery service to anywhere in Ontario. Contact us for more information and be sure to ask about our 10% discount for parcel deliveries. 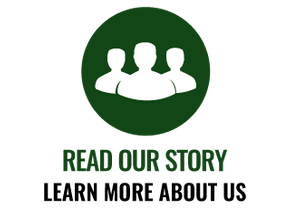 We believe it's important to give back to the community which we serve. Oakville United Taxicab Ltd is a proud supporter of local sports teams, as well as the SENACA Seniors Day Program. We have participated in SENACA’s 13th Annual Classic Walk and the Canadian Blood Services Partners for Life corporate challenge. Oakville United Taxicab Ltd was an active participant in the Oakville Hospital Foundation’s recent fundraising event, which successfully met its goal. We are pleased to be associated with a top-of-the-line hospital that provides area residents with the best of the best. Oakville United Taxicab Ltd is proud to have been voted Oakville's "Best Taxi Company" every year since 2006 as part of the Oakville Beaver's Readers Selection Awards. Contact us today to discover for yourself the Oakville United Taxicab Ltd difference.